A study published in Science suggests that losses of the greenhouse gas methane from the US upstream gas chain might be significantly higher than reported in current estimates, regardless of the exploitation technique used. A correct interpretation of these scientific finding tells us that the same is likely to be true for natural gas production systems in other parts of the world. Outdated databases and high uncertainties associated with monitoring and reporting systems worldwide should therefore be addressed as a matter of urgency. In recent weeks two online articles – “US Gas could be as bad for the climate as coal” (in German) on Deutsche Welle, and “US-LNG is bad for the climate” on Energate Messenger (also in German) – have commented on a new study published in Science. This is something to be welcomed, since the study’s findings are related to climate change and natural gas, two sensitive political topics in Germany, where foreign natural gas covers 23 per cent of the country’s energy consumption. However, the interpretation of the findings is misleading in both articles: both blame the widespread use of fracking in the United States for the unexpectedly large methane losses detected at US oil and gas facilities. But, as evidenced by the Science study and many other articles, the common assumption that fracking leads to larger methane losses is simply not true. The Science study actually conveys a very different message: regardless of the extraction technique used (fracking or conventional exploitation), methane losses along the upstream chain seem to be about 60 per cent higher than officially reported by the United States Environmental Protection Agency. 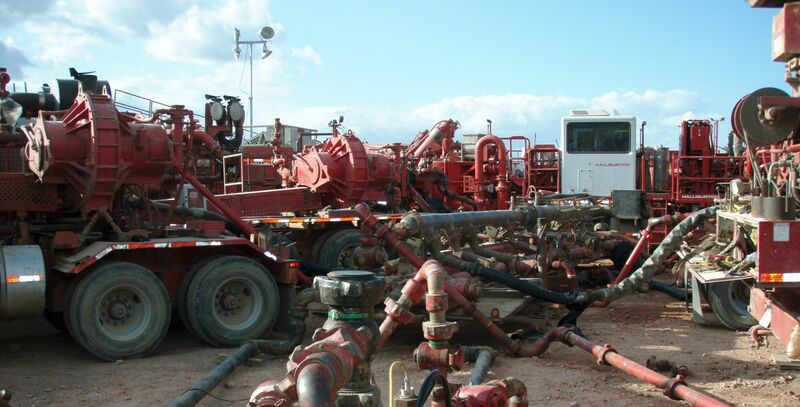 Although many environmental and economic uncertainties are linked to fracking, such as earthquakes, groundwater preservation, etc., the claim that it results in higher methane emissions is therefore not supported. The study makes for interesting reading in Europe and other regions that extract or consume natural gas without resorting to fracking. It should raise concerns regarding the ways in which gas is produced across the globe, with or without fracking. Nowadays, it is generally accepted that large leaks are usually linked to the age of devices, or to improper procedures and poor maintenance of tanks and pipelines above ground. In an IASS publication from 2016, we investigated this issue in depth. Tellingly, the online Science article that presents the study does not refer to fracking at all, nor does the study itself or the supplementary materials provided. This clearly proves that it’s not a particular technique that’s to blame for the emissions, but improper monitoring unable to detect widespread leaks. In this context, it should be noted that hatches and vents from storage tanks are not only linked to fracking operations but can occur at any stage along the production chain. New scientific findings like those presented in the Science study should prompt a more in-depth discussion of the quality of the data supplied by emissions reporting systems worldwide, which is often not supported by solid empirical investigations. It is interesting in this regard to analyse how these new findings relate to the very low emission rates reported by the official agency for European gas. An investigation of these gaps in understanding in collaboration with industry would be a worthwhile endeavour for the scientific community. The fracking discussion in Germany has been plagued by misinformation, and we have missed an opportunity to engage in a balanced discussion of the pros and cons of a renaissance of the German gas industry. Issues like energy security, coal, the nuclear phaseout, dependence on Russian gas, and the development of modern participatory processes have not really taken centre stage in the debate. The dissemination of sound information – also through media channels – may help to dispel myths and foster an informed discussion among the engaged actors. This article has been republished from the Institute for Advanced Sustainability Studies (IASS). A version of this article was published in Tagesspiegel Background Energie & Klima on 21 August 2018. Dr. Lorenzo Cremonese is a research associate in the Pathways for Sustainable Energy project at IASS Potsdam.